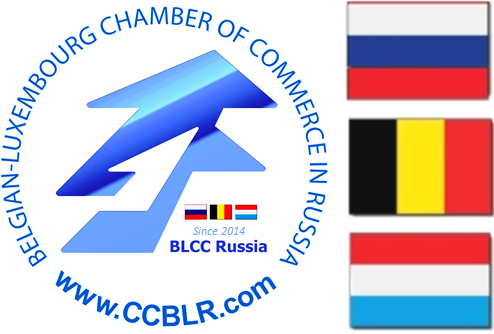 The Belgian-Luxembourg Chamber of Commerce in Russia is dedicated to assist the Russian, Belgian and Luxembourg companies to expand its business and to improve they business performance. Our team of qualified professionals with years of experience in concerned countries, is ready to develop and implement a strategy based on your individual needs. • Establish professional contacts to find new customers or partners. • Get assistance in developing your business, through the expertise of the Chambe of Commerce. • Participate in various events in the business community. • Receive relevant up to date information on developments in the Russian market. • Protect and promote your interests through the Chamber of Commerce, a true lobbying power. • Facilitate business trips to Russia through our "Business Visas" service. Trade Missions: Belgian-Luxembourg Chamber of Commerce organizes both Inbound and Outbound Trade Missions to establish a greater network of private and public sector entities and provide firsthand knowledge of trade relations to our members. Trade Missions identify multi sectors High-technology for growth in infrastructure development, Transportation, Pharmaceuticals, Petroleum industries, Chemistry, Automotive, Aeronautic, Machines-works, construction & material for construction, etc. Organization of the seminars and conferences. Market Studies: finding your competitive advantage, market size, key players and growth forecast. Customized business reports on the enterprises working at the Russian market: knowing your partners credentials and records is critical in achieving your business success in the new market. Accreditation of Representative offices and affiliates in Russia, registration for legal entities incorporated and existing under the Russian laws: We offer reliable, quick and price competitive service as we deal directly with the Russian authorities such as the Ministry of Justice and State Registration Office. We work so efficiently with the Russian authorities that, when establishing a representation office, it is not even necessary for you to come to Russia as we will handle all the paperwork from distance so that you save a lot of time and travel expenses. Banner and advertisements on the web-site and our regular BLCC Newsletter.